Everyone please take a look at the picture above. This is Danielle Brooks. You've probably heard of her. She plays the hilarious and compelling Taystee on Orange Is the New Black, she graduated from The Juilliard School, and she's freakin' gorgeous. She's so body positive on her Instagram that I want to break out my short shorts, tight dresses, and crop tops to work my curves exactly how she does. What she's not is another faceless African American woman who you can randomly assign a name to because she has the same height, weight, or skin color as another actress. This is not acceptable. 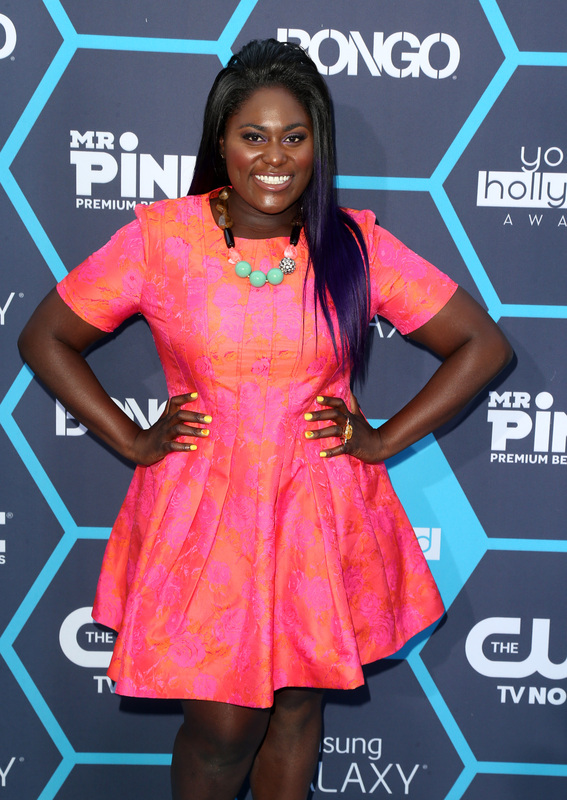 Danielle Brooks responded to being mislabeled as Issa Rae on Getty Images via her Instagram account on Friday, and she is justifiably pissed off. Rae, a producer, writer, and director, is best known for creating the web series "The Misadventures of Awkward Black Girl." First of all, bravo to Brooks for calling the media out on this problem. And it is a problem. Samuel L. Jackson and Lawrence Fishburne are not the same person. Octavia Spencer and Viola Davis are not the same person. Believe it or not Alfre Woodard and Idris Elba ARE NOT THE SAME PERSON. Are we noticing a pattern here? This happens time and time again to people of color. Admittedly it does happen infrequently, but when the media gets it wrong, they really get it wrong. Confusing one black woman for another on the red carpet erases their identity. These women are unique and very talented individuals who deserve to be recognized as such and not casually mislabeled by photography companies that were there to photograph the event at which the actresses were being honored. It's a disgusting display of disrespect and Brooks has every right to get angry about it. LMFAO! "If there is another person attached to my name I'm glad you are FLY!!!" - @daniebb3. Woohoo! My first #blackpeoplelookalike celebrity mix up! Glad to be confused with someone so beautifully amazing. And although Rae is no longer mislabeled as Brooks on Getty's website, she is now only called "a guest" who attended People 's event which is equally as demeaning. She's been demoted from Brooks to a guest, and it's a wonder they didn't just remove her picture all together. As more actresses start to call this problem out, media consumers should speak out about it as well and say this is unacceptable and disrespectful. They deserve better and we need to demand better.